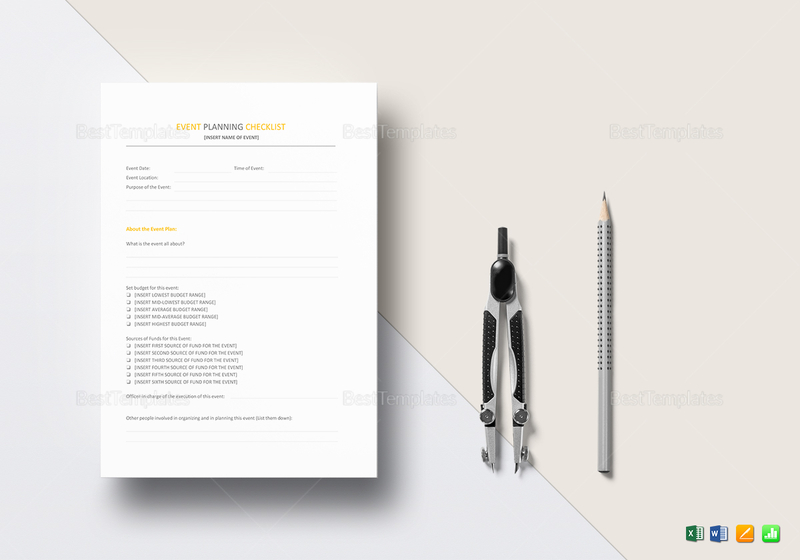 Event planners will simply adore this fully customizable event planning checklist template. 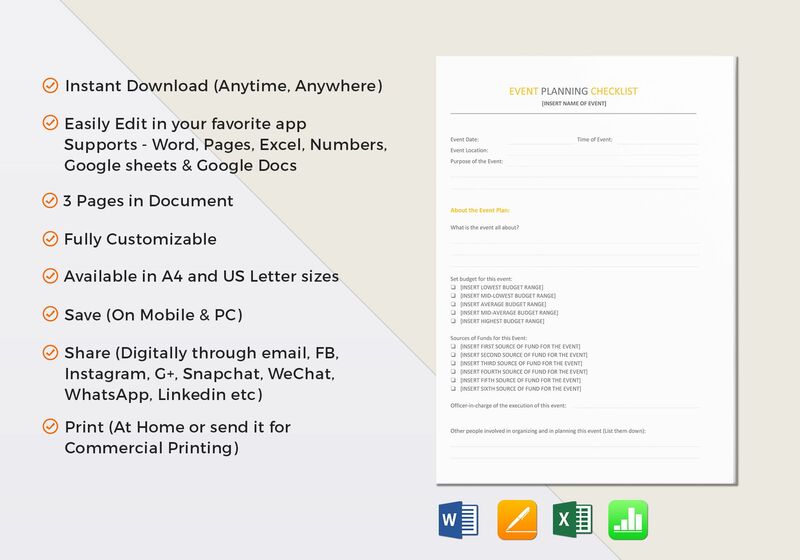 With three pages of editable details, you can simply download the document in any of its available file formats such as Microsoft Word and Apple Pages. Thanks to its auto calculation feature, the daunting task of event planning is made that much easier.